The Broadview Project is a proposed solution potash mine in southeast Saskatchewan. It is situated on KP437, which is 281 square kilometres in size and located approximately 12 kilometres south of the Town of Grenfell and 100 kilometres east of Regina. The Broadview Project could have significant short and long-term benefits for the local and regional economy. Benefits include the creation of jobs, purchase of supplies and services, payment of taxes during construction, operation, and decommissioning, as well as royalty payments to the Province of Saskatchewan during operation. Canada Golden Fortune Potash Corporation (CGFPC) is a Chinese-owned resources company engaged in the exploration and development of potash mineral deposits in Saskatchewan, Canada. 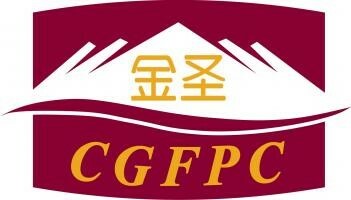 CGFPC's goal is to develop a solution potash mine with in Saskatchewan. CGFPC owns 100% of the nineral rights on two potash permits (KP437 and KP442) in Saskatchewan. SNC-Lavalin Inc. (SNC-Lavalin) was retained by CGFPC to provide services for the Broadview Project including infrastructure design, environmental permitting and community engagement. Founded in 1911, SNC-Lavalin is one of the leading engineering and construction groups in the world and a major player in the ownership of infrastructure. Our Saskatchewan team of leading environmental specialists, earth scientists and engineers specialize in consulting for the Saskatchwan potash mining industry. "We look forward to building strong working relationships with all communities involved and learning about each community's customs and traditions"
Public Engagement is a process that involves the public in various forms of problem solving, decision making, opportunity identification, and the collection of community input to make sustainable decisions. Canada Golden Fortune Potash Corporation (CGFPC) and SNC-Lavalin Inc. are firm believers in public engagement and pride themselves in building long lasting community relationships. Potassium from potash is used to produce fertilizers that help meet the growing global demand for food. Fertilizers play an important role in maintaining and increasing crop yields. The global demand for fertilizers has grown over the last decade, particularly in developing countries. The Broadview Project is a proposed solution potash mine in southeast Saskatchewan. It is situated on potash permit KP437, which is 281 square kilometres in size and located approximately 12 kilometres south of the Town of Grenfell and 100 kilometres east of Regina. Unlike conventional mining which involves moving tonnes of earth to access a mineral resource, solution mining requires the installation of injection and recovery wells into the resource. From there, a heated brine solution is injected into the deposit, which dissolves the potash salts and results in development of a cavern. The dissolved salts are then pumped out of the cavern to the surface where the water is evaporated, either artificially or in evaporation ponds leaving behind salt and potash. Once the potash minerals are on the surface and separated from the water, the processing to form the final product is the same for either conventional or solution mining. CGFPC is undergoing water sourcing studies for the Broadview Project injunction with the Saskatchewan Water Security Agency. The project benefits from its proximity to infrastructure. The Trans-Canada Highway (Highway No. 1), Canada National Railway (CN) and Canadian Pacific Railway (CPR) are 10 kilometres north of KP437. Provincial Highway No. 48 is 400 m south and Provincial Highway No. 47 and Municipal Road No. 616 cross the western and central part of KP437, and connects Highway No. 1 and Highway No. 48. The Broadview Project could also have significant short and long-term benefits for the local and regional economy. Benefits include the creation of jobs, purchase of supplies and services, payment of taxes during construction, operation, and decommissioning, as well as royalty payments to the Province of Saskatchewan during operation. The Environmental Assessment Act requires that a proponent receive the approval of the Minister of Environment before proceeding with a development. Saskatchewan's Environmental Assessment (EA) process provides a practical, comprehensive and integrated approach to decision-making. It is designed to systematically evaluate the ecological, socio-economic and cultural aspects as they relate to the environment of a development, so that the real costs and trade-offs at stake in a particular situation can be fully understood. Public Engagement is an important step in the EA process. The Saskatchewan EA process begins with the submission of a Technical Proposal (TP) to the Saskatchewan Ministry of Environment (MOE). The TP is intended to provide MOE with sufficient information to determine any regulatory requirements, including whether the project is considered a development pursuant to The Saskatchewan Environmental Assessment Act. If a proposed project is considered a development by MOE, then an Environmental Impact Statement (EIS) is required prior to project approval. An EIS is the report that documents the project effects and mitigation measures and is used by the regulators in the decision-making process. Who is Canada Golden Fortune Potash Corporation? Canada Golden Fortune Potash Corporation (CGFPC) is a chinese-owned resources company engaged in the exploration and development of potash minerals in Saskatchewan. CGFPC headquarters is located in Saskatoon, SK. What is the Broadview Project? The Broadview Project is a proposed solution potash mine in southeast Saskatchewan. It is situated on potash permit KP437, which covers approximately 281 square kilometers of land. Where is the Broadview Project located? The Broadview Project is located approximately 12 kilometers south of Grenfell, SK. and 100 kilometers east of Regina, SK. KP437 is located in the RM's of Kingsley No. 124 and Chester No. 125. What is the project schedule for the Broadview Project? The Broadview Project is currently in the study and evaluation stage. What water source will the Broadview Project use? CGFPC and is currently working in conjunction with the Water Security Agency (WSA) to determine potential sustainable water supply options. You can make a difference! The objectives of public engagement are to inform and update local community members and stakeholders on the Broadview Project, and provide opportunities for individuals to ask questions, discuss the project and provide feedback. Information gathered from community feedback, including comments, concerns, and ideas to minimize effects, will be considered in project planning and design. This information will be included in the Environmental Impact Statement (EIS). If you have any questions, comments or concerns, please complete and submit the form below. Project updates, including the announcements of open houses, will be posted here. Please check back often!